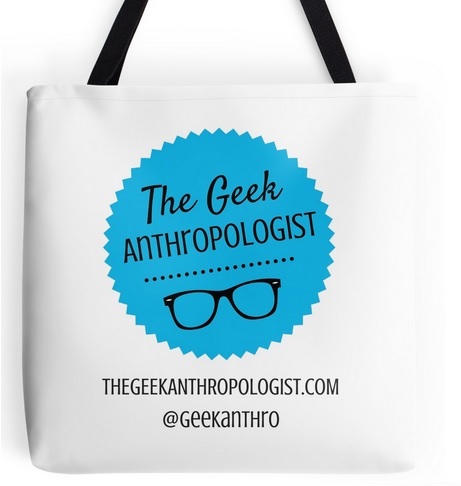 <Anthropology Blogging 101: Anthropology Attacks! When I first started my research on role-playing games about seven(!) years ago, it felt a bit lonely. My professors and colleagues were supportive but didn’t really know what to do with me. Anthropology has been proclaiming the end of obsession with the exotic for quite a while now, but sometimes that is more true in theory than in practice. For quite a while, I didn’t know anyone else who studied any aspects of geek culture, let alone gamers. That is why when I stumbled my way into the Popular Culture Association / American Culture Association conference four years ago it was like coming home. I could probably pick any room at random during the conference and have an amazing and informational conference just staying there for every session. To give you a sense of the scope, J.R.R. Tolkien and Stephen King each have entire multiple-day sections devoted to them. As much as I love the American Anthropology Association conference, there is something special about an interdisciplinary conference focused on shared topics of interest. For the most part, the people at the PCA/ACA aren’t in competition for each other’s jobs or funding. In my experience they are mostly just glad to be sharing thoughts with other people that study the same thing as they do. I’ve attended the PCA/ACA meetings every year since 2011, and have developed some of my most productive and fun professional relationships there. 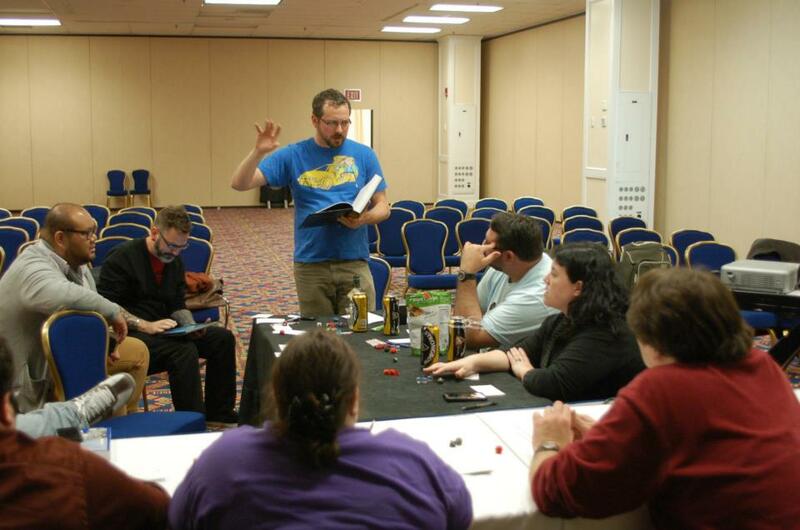 Playing a role-playing game with fellow scholars at one of the Game Studies area’s annual game nights. If you are a scholar studying any area of popular culture, I heartily recommend submitting to the conference (especially the Game Studies Area). The submission process begins July 1 If you are a geek who is not in a position to present or attend, check out previous programs; if you see something of interest, email the presenter and request a copy of their presentation. Nearly all of the people I have met at the conference would love to share their work! If that seems too intimidating, contact your friendly local TGA (i.e., us) and let us know you’d like to hear more about a topic, and we’d be glad to try to arrange a guest post!